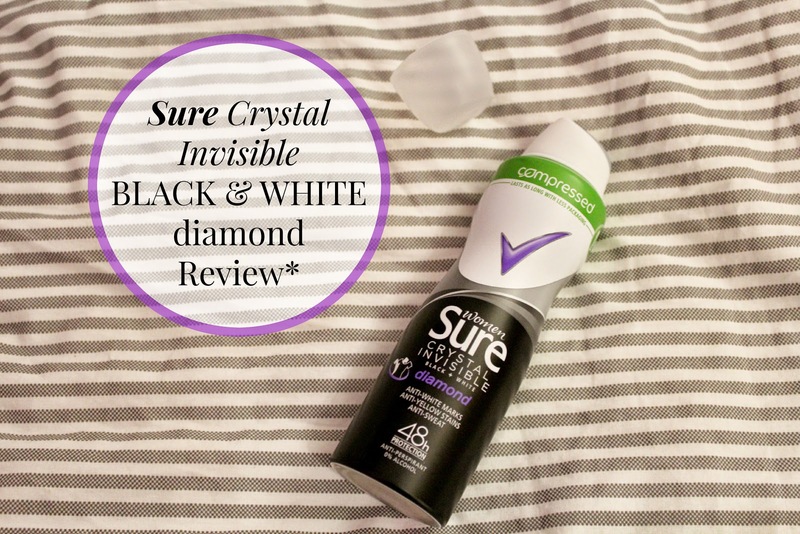 I recently received the new Sure Crystal Invisible Black and White Diamond deodorant to try and test for you! 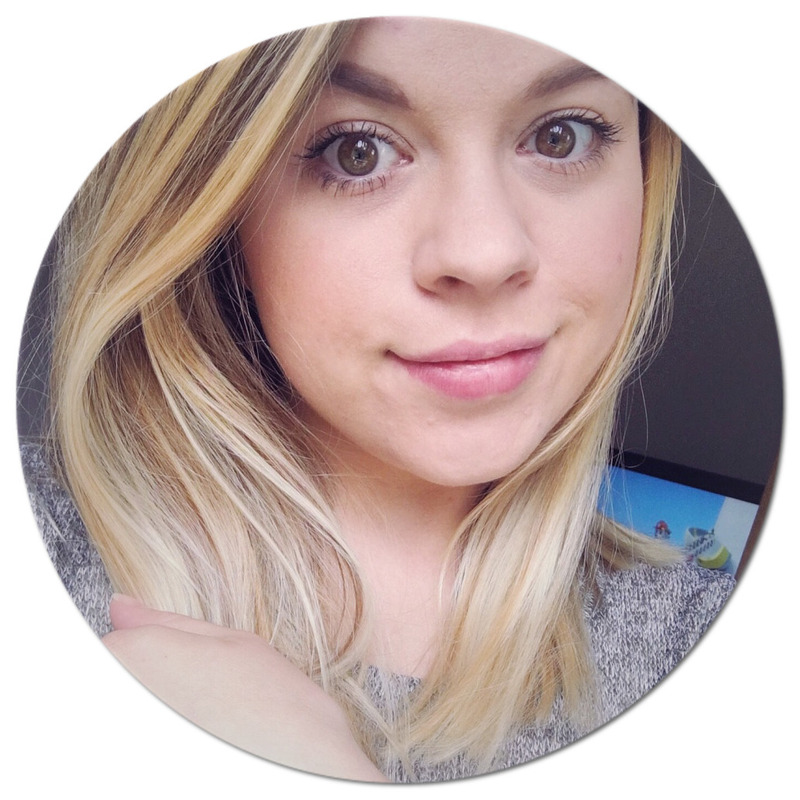 I have been really pleased with it so far, I have been using it just over a week. It has been brilliant on those days when I am on the go all day and running around in complete havoc with Mia. I don't feel even a little bit damp and sweaty! Which is of course is the last thing that you want in the middle of the day! 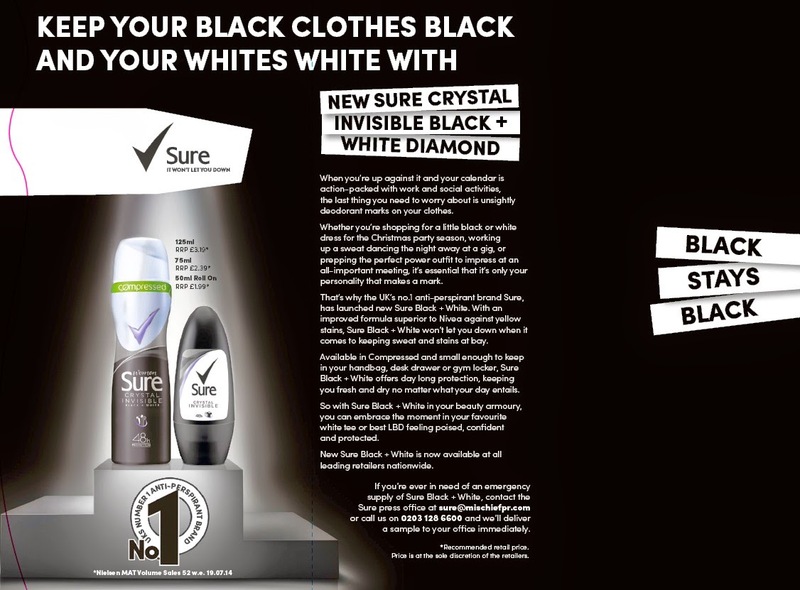 I would defiantly say does what it says on the bottle, leaving your whites, white and your blacks, black I haven't had any issues where you look down and your find you have white deodorant powder all over you top, I hate that! I really love the smell as well it doesn't have an obvious smell just a light, airy, fresh scent which lasts all day long. 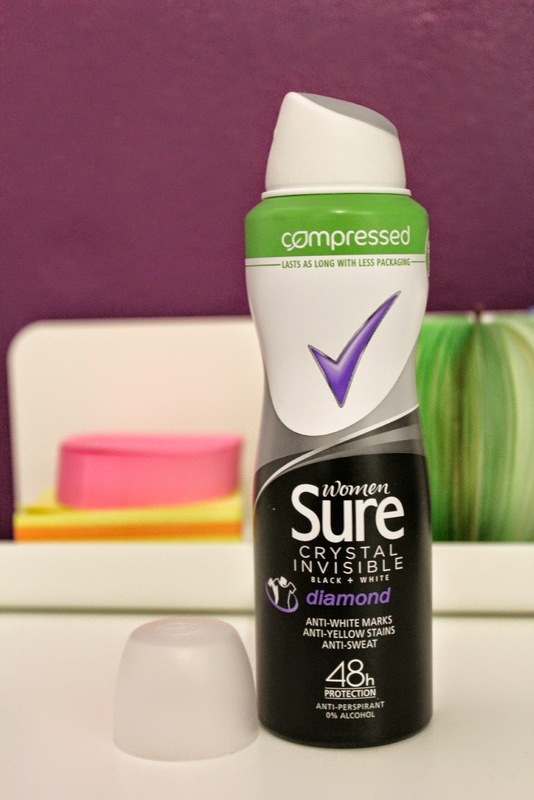 It comes in the compressed bottle so it can neatly fit into your handbag or a travel case, but lasts just as long as the large bottles. All in all I would recommend that you give it a try, I give it a big thumbs up myself. Let me know what you think! As Sure says: "It's only your personality that leaves the marks! ".